Material Beliefs » Blog archive » what happens if … ? 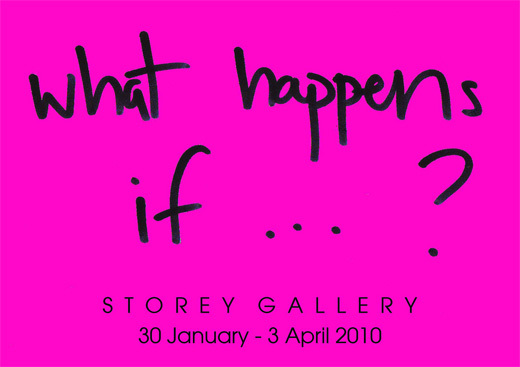 what happens if … ? This exhibition is about experimentation and play. It brings together artists with long-established international reputations, alongside recent graduates. What they have in common is a mischievous curiousity about the world around us, and a do-it-yourself approach. They conduct witty low-tech experiments to uncover the enchantment hidden within everyday utilitarian objects. The address of the venue is Storey Gallery, Storey Creative Industries Centre, Meeting House Lane, Lancaster, LA1 1TH. Here’s some background to the gallery, which has a Facebook page here, and is directed by John Angus with events produced by Suzy Jones.